Balikpapan (Indonesia) (AFP) – An oil spill off Borneo island that led to five deaths and the declaration of a state of emergency was caused by a ruptured undersea pipe, Indonesia’s national oil company Pertamina said Wednesday. 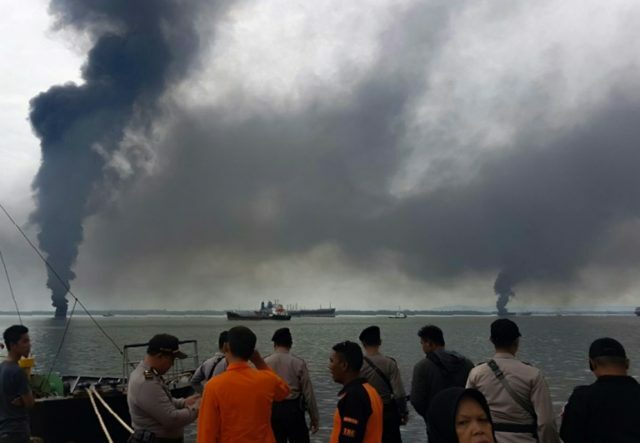 The leakage, which started in waters near Balikpapan city early Saturday, has spread at least 26 kilometres (16 miles) and coated large areas of the coast in thick black sludge. 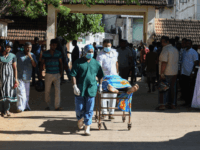 Five fishermen died in a fire sparked by workers who were trying to clear the spill by burning it off the water’s surface, a local search and rescue agency spokesman said. “They were a group of men who were on vacation together and went fishing,” said Octavianto, a senior official of the East Borneo search and rescue agency, who like many Indonesians goes by one name. State-owned Pertamina, which had initially denied responsibility, said Wednesday that one of its pipes used for transporting crude oil, laid about 25 metres below the sea surface, was the source of the huge leak. “Since it was first detected, we have closed the crude oil supply from Lawe-lawe to Balikpapan as a precaution,” Pertamina spokesman Togar MP told reporters. Police and Pertamina are investigating the source of the pipe fracture but initial inspections by divers show that it has shifted about 120 metres from its initial location on the seabed. A state of emergency was declared Tuesday in Balikpapan as local officials warned residents not to light cigarettes in the area and distributed gas masks because of the acrid fumes and smoke. Dramatic aerial photos showed masses of crude oil spread across the surface of the ocean and black blobs covering beaches. The precise impact on sea life is not yet clear, but one endangered Irrawaddy dolphin has washed ashore dead. Several oil booms have been deployed to try contain the spill with about 69,300 cubic metres having been collected as of Tuesday evening, the environment ministry said in a statement. “We have asked the team as well as Pertamina to prioritise the cleaning of oil spills in residential areas due to the stench and other potential risks,” said Environment Minister Nurbaya Bakar.